Steve Flaherty Wildlife Photography Blog: Gigrin Farm, Tower Hide. 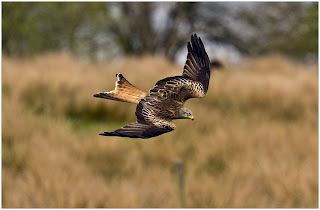 A Red Kite in the Landscape. 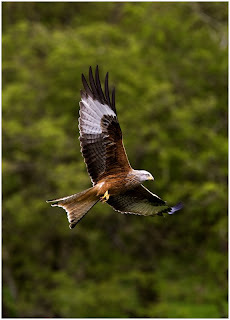 A Red Kite flying towards me. A Red Kite eating in the Air. If I got any of these I would be happy. 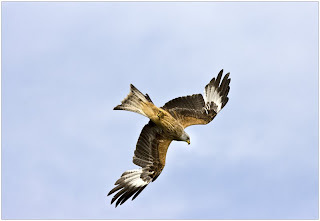 The main one that I want is a Red Kite diving and that was my main aim for the day. I found this quite a challenge at first as I was taking the photographs with the Camera attached to the wimberley head on my Gitzo Tripod. I found that as the birds are so fast I had to take the Camera of the tripod and handheld it. This was quite hard as the lens got heavy quite quick. The way I got around this was to watch the birds habits and when they started to dive, I would track one bird then wait for it to dive and take a few frames. Although the success rate was not very high I came away that day with images I was very Happy with.